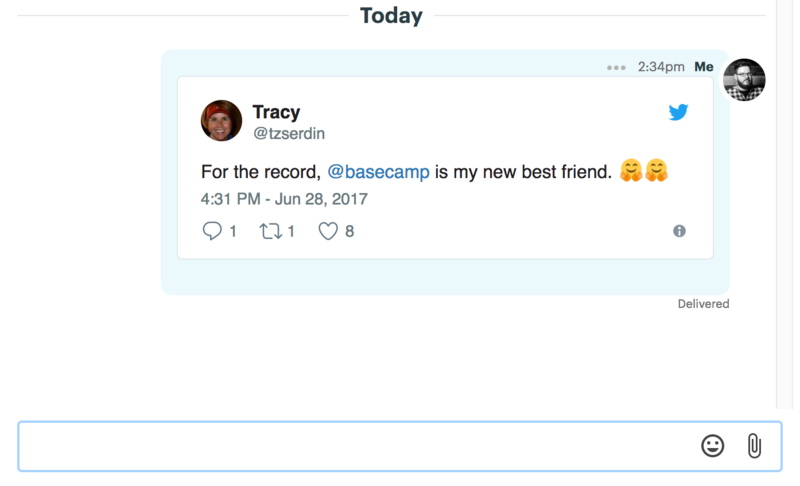 In addition to sharing work communication, Basecamp is a great place to share cat videos, tweets, and vacation photos. Just paste the link to the item in a Ping or Campfire. 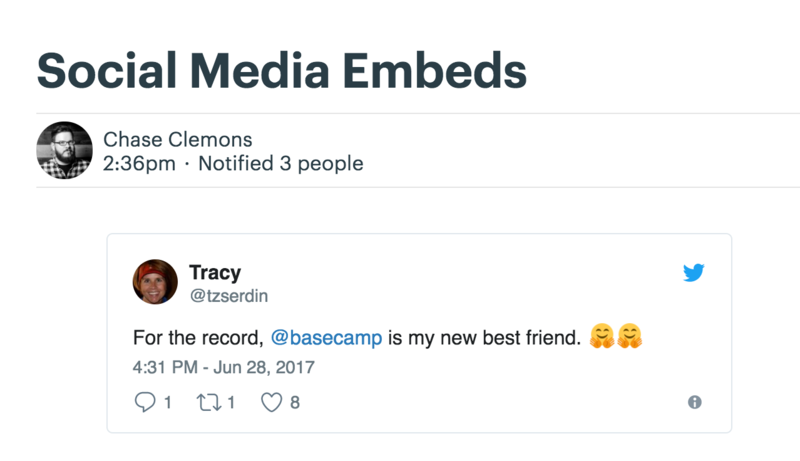 Want to embed something in a message or comment? Paste the URL into the 'Link' icon in the toolbar. And when you post it, presto! Your link is live. You can embed content from Flickr, Hulu, Instagram, SoundCloud, Twitter, Vimeo, Vine and YouTube.